Methana passenger and car ferry ticket prices, timetables, ticket reservations and information for ferries sailing from Methana to Aegina, Piraeus and Poros. Compare all available Methana ferry ticket prices in real time and book the cheapest available Methana car and passenger ferry tickets sailing to and from Methana, Aegina, Piraeus and Poros with Hellenic Seaways ferries online with instant confirmation. Book Methana Ferry Tickets with Hellenic Seaways for ferries sailing from Methana to Aegina, Piraeus and Poros online in advance to enjoy the cheapest available ferry ticket price. The price you see is the price you pay. There are no hidden extras or surprises such as added fuel surcharges or booking fees and we do not charge you anything extra for paying with a Visa Electron card. The price we quote you for your selected Methana passenger or car ferry ticket, onboard accommodation and vehicle type is all you will pay, and that's a promise. To obtain a Methana ferry ticket price and book your ferry ticket securely online please use the real time ferry booking form on the left. You are also able to add a hotel at your destination, or anywhere else, to your ferry ticket when completing your ferry ticket reservation. Methana is a volcanic peninsula that lies north of Trizina. It is connected to the Peloponnese by a very narrow isthmus. Famous for its warm healing springs, Methana town welcomes hundreds of Greek holidaymakers every year, but still remains distant from foreign visitors. A new scenic coastal road links the isthmus with the town and port of Methana, on the south-eastern side of the peninsula. The first glimpse of the town and port of Methana is from the roadside as you approach the town from the nearby hills. The famous spa building stands at the entrance to the town. Its characteristic odour of sulphur was used for therapeutic purposes from the late 19th century. A favourite spot amongst visitors is the small green islet of Nissaki, linked by a causeway, where luxury yachts are moored alongside the tiny traditional fishing-boats. Traces of a fortress and Spartan coins from the 4th Century BC were found on this small islet. Large ferries from Piraeus and Aegina call in to the main port of Methana, continuing on their way to Poros. The magnificent landscape and scenery here make Methana an extremely beautiful part of Greece, and it is the perfect combination of mountain and sea, of blue and green and a place that attracts many visitors each year. The coastline of Methana is very interesting and there are numerous caves along the coast that are very interesting. There are also some beautiful beaches such as Almyra where you can swim in the refreshing waters during the summer. There are a number of hotels and accommodation such as apartments and studios that operate in Methana. You will also find a nice choice of tavernas where you can enjoy a meal or drink. Along the cross-country road, 9 kms west from Methana town, lies the dormant volcano. The volcano last erupted in 283 BC, and with the accompanying earthquakes, resulting in the destruction of Ancient Troezen (Trizina). Visitors wanting to climb to the volcano summit can leave their car at the base, where there is an old bus stop and the road ends. It takes approximately 45 minutes to walk to the summit along a narrow winding path, with trees offering shade during the hot summer months. You will be rewarded with stunning panoramic views of the surrounding sea and islands of Aegina, Angistri and Moni. However, the volcano 'crater' at the summit is rather disappointing, as you will only see a small cave with a sign above the entrance. Also, along the same mountain road to the volcano, it is worth stopping at the small coastal fishing village of Vathy for a long cool refreshing drink. Traditional tavernas surround the small bay where a few sailing boats come to tie and moor up. You could be forgiven to think that you have just stepped back 50 years in time, as you relax and see the old men on their donkeys taking their usual route around the bay, with local fishing men sorting their catch and mending their nets. Best Price Guarantee - We always offer you our lowest available Hellenic Seaways passenger and car ferries ticket price to and from Methana. There are no hidden extras or surprises such as added fuel surcharges or booking fees and we also we do not charge you anything extra for paying with a Visa Electron card. The price we quote for your selected Methana ferry ticket, onboard accommodation and vehicle type is all you will pay, and that's a promise! In the unlikely event you find the same all inclusive Methana ferry ticket cheaper in the brochure of any other tour operator we promise that we will do our best to beat that price or offer you the choice of requesting a refund. 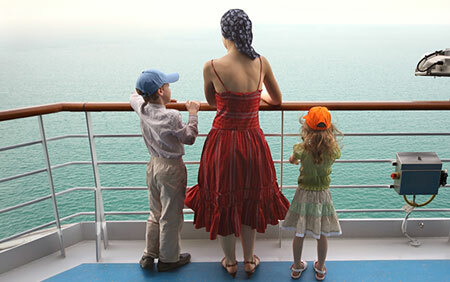 To book Methana car and passenger ferry tickets please click here. At ferryto.com you are able to obtain live Methana ferry ticket prices, check availability and book car and passenger ferry tickets to and from Methana at our lowest available ticket price. Ferryto.com is part of the world's largest online ferry ticket distribution network providing the ability to book over 80 major European ferry operators including to Methana and to over 1,200 other ferry routes throughout the UK, France, Spain, Ireland, Holland, Eastern Europe, the Mediterranean, the Baltic and North Africa.